Her Royal Highness Princess Charlotte Elizabeth Diana of Cambridge. 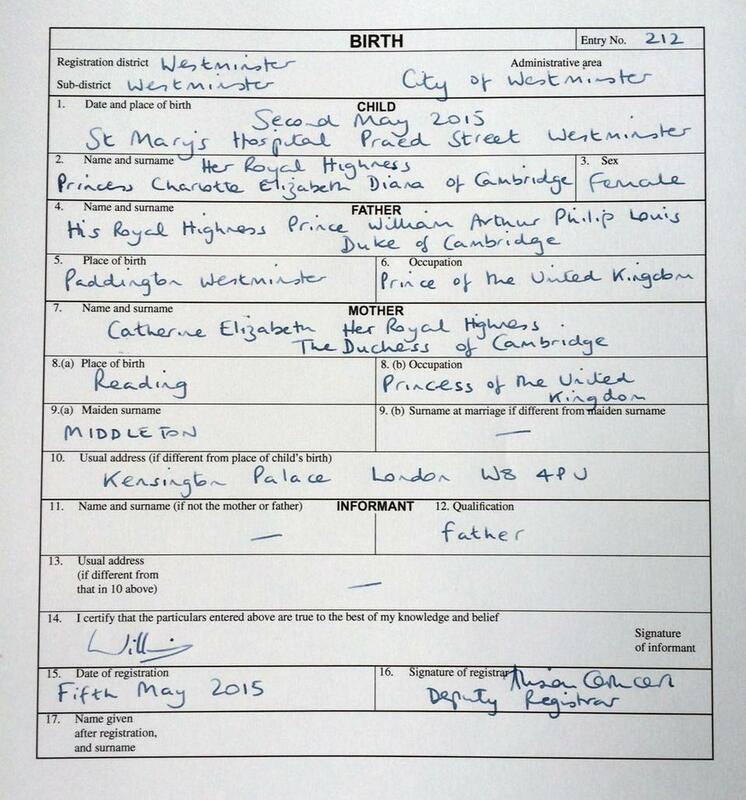 I love the way the “Occupation” field was completed for Will and Kate. And though it looks like the registrar completed the form (the handwriting seems to match), that’s HRH Prince William’s signature in field 14. A new baby is always a blessed and thrilling event, but when the baby is a princess, too, it add a little extra touch of magic to the occasion.